The Princess Agnes of Salm-Salm will arrive tomorrow in New York aboard the Wilhelm der Grosse, reports the Chicago Daily Tribune. The princess will spend three months in the country, first visiting her sister in Vineland, New Jersey. She will then travel to Chicago, where she will stay with Mrs. Louise Woodbridge Percy, who lives at 451 South Oakley Avenue. 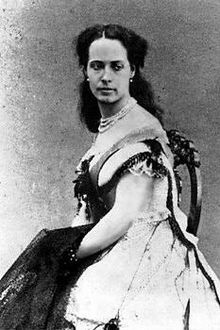 The princess is the former Agnes LeClerq, who married Prince Felix of Salm-Salm in 1862. The German prince served as a general in the U.S. Army and also served in the Mexican Army. He was killed in action at Gravelotte in 1870.